After more than 25 years of service in the academy, Jan Asnicar began helping colleges and universities identify senior leaders for their institutions in 2007. Since beginning this work, she has assisted a wide variety of institutions in search projects ranging from chancellor/presidential and dean searches to executive staff and cabinet level positions. She has worked with both public and private institutions and regularly customizes services to meet the needs of this broad client base. Her client base is national and she has developed a loyal base of colleagues who represent liberal arts, professional, medical, and research institutions. Jan began her career in higher education in student affairs at the University of Wisconsin System where her focus was in student governance and residential life. She joined an educational consulting firm that specialized in the development of programs for adult learners. For nearly twenty years she worked with colleges and universities throughout the country providing guidance and support in the areas of strategic planning, external compliance, staff development, enrollment management, communications, public relations, marketing and promotion. 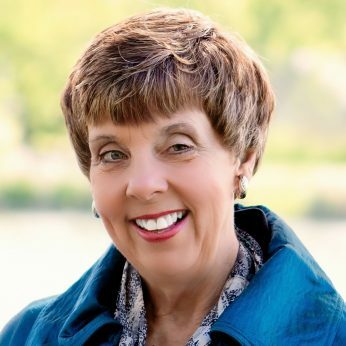 Jan also served as Associate Dean at Baker University’s School of Professional and Graduate Studies where she had responsibility for all academic and student services for the adult programs. In this role, she also assisted with research, staff development, new program initiatives, and had responsibility for the development, implementation and subsequent modification of the strategic plan for the School. Jan has presented at regional, national, and international conferences on various topics including succession planning, program assessment, strategic planning and enrollment initiatives. She has also created and delivered workshops designed to prepare academic leaders for their next leadership opportunity. Actively engaged in the community, Jan has served on the marketing committee for the Race for the Cure, in Kansas City. She has served as an adjunct faculty member teaching at the undergraduate and graduate levels at institutions in the Kansas City area. She also serves as a volunteer for individuals with special needs as well as coordinating holiday meals with her local rescue mission.